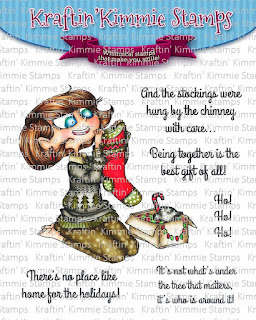 Trinity Rose Designs: Kraftin Kimmie September New Release day Four! 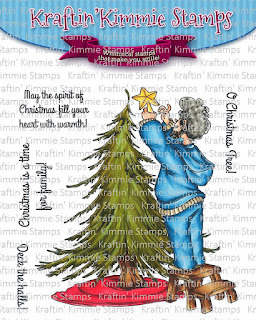 Today we are sharing TWO out of FOUR new stamp sets by our incredible artist, Annie Rodrigue! I know a lot of you have been waiting for these holiday goodies....and it's time! We've got a fabulous stamp set featuring the patriarch of the family and he's putting the star on the top of the Christmas tree! 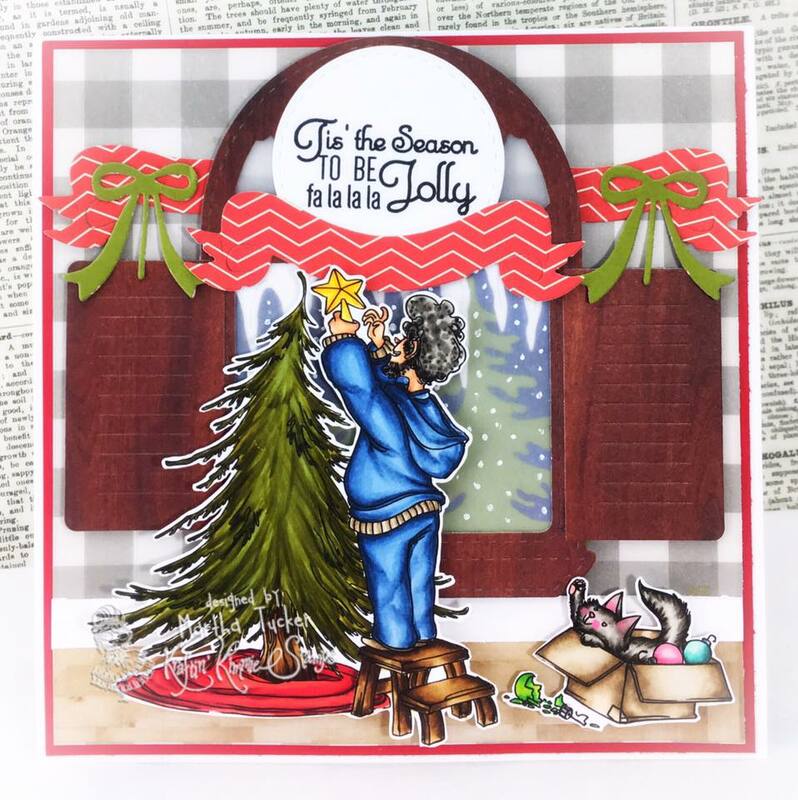 It's a lovely large image plus four coordinating sentiments! Next up is HOLIDAY MOMMA! Doesn't she look like every momma? I love her holiday sweater! She's busy unpacking all the Christmas stockings and decorations. And the stamp set includes five coordinating sentiments! I can actually hear the fire crackling, smell the cookies baking, and is that Santa on the roof?! HOLIDAY DADDY-O and HOLIDAY MOMMA stamp sets! Gorgeous card!!! Love the background window with the snow falling!! Makes me want to start decorating for the holidays!! Wow! I love all the details. And you added in the kitty in the box. So sweet. Great card! Shading is great...tree is so life-like. I SUPER love this card!